Sheeting is the solid wood surface that your roof is built on. 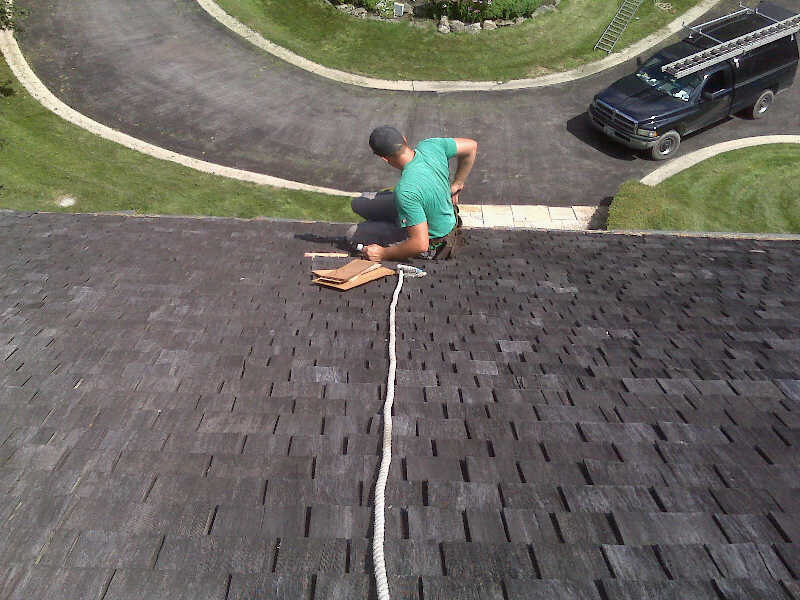 How to do it right: You need a firm, weather-resistant and level surface on which to put your new roof. Your existing sheeting is one of the first things we look at when we inspect your house and make up your estimate. The sheeting you now have may be good quality plywood and may be fine. Be aware that some contractors may bid low by not replacing bad sheeting. You may get a good price, but you may have problems in the future. Similarly, if your contractor offers to replace your sheeting with chip board, press board or oriented strand board (OSB), he’s using a cheap, inferior product not made for exterior use that can swell and break apart when moist.